Recover your lost or deleted photos ! 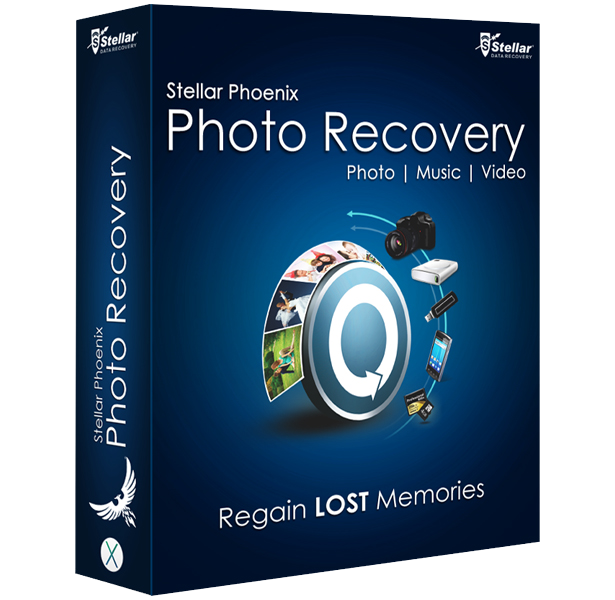 Stellar Phoenix Photo Recovery software is a downloadable tool for recovering your memorable photos, music files, videos and any other multimedia files that were lost due to human error, storage media formatting, system crash and the likes, without losing their original quality. You can recover your deleted multimedia files from digital cameras, memory cards, laptops, desktops, USB drives, CDs, DVDs or from any other storage media. The software recovers your Photos in 3 easy steps: Scan, Preview and Recover. There are amazing modes to preview list the recovered files and you get the suitability of recovering only the DELETED multimedia files within a volume, so that you do not have to waste time searching the desired files from the list of all existing and lost ones. Its risk free trial version shows you the preview of your recoverable deleted files. Once you get to see your deleted photos back then you register and buy the software. Recover almost all video formats like GOM, iTunes, MP4, MPEG, MOI, MOV, VLC, 3GP and more! Supported Audio File Formats : ACD, AIFF, AMR, AT3, AU, CAFF, DSS, IFF, M4A, M4P, MIDI, MP3, NRA, OGG, RA, RM, RPS, SND,WAV, WMA etc. Supported Image File Formats : BMP, DJVU, GIF, JPEG, PBM, PGM, PNG, PSD, TGA, TIFF, DNG, ERF, ARW, CR2, CRW, INDD, JP2, MOS, MRW, NEF, NRW, ORF, PCT, PEF, PNG, PSP, RAF , Sr2, SRF, X3F, RAW, etc. Supported Video File Formats: 3G2, 3GP, AJP, ASF, ASX, AVI, DIVX, DV, F4V, MOV, HDMOV, M4B, M4R M4V, MKV, MOI MP4, MPEG, MQV, MTS, OGM, SVI, TOD, VID, VOB, WMV etc.